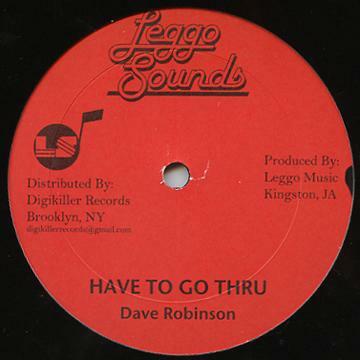 On 12" we have Dave Robinson's massive tune on Leggo's awesome lick of the tempo riddim. In 1985, as the original tempo riddim was booming up the scene, Leggo was moving back and forth between his Orange Street, Kingston homebase and the Bronx, NYC. In this time he released a few tunes only in NYC, and only on 12" disco, where the format was already long-favored. Among them was this, a wicked lick of the ruling tempo riddim, huge bass and fantastic instrumentation, again arranged by Leggo's cohort Flabba Holt, and voiced by veteran rootsman Dave Robinson. A big booming vocal and the deep dub, titled "Vex." No.40 at Total Ranking on Nov 28, 2010. No.5 at Genre Ranking on May 15, 2013. No.1 at Sub Genre Ranking on Jul 9, 2014. No.5 at Format Ranking on May 15, 2013.